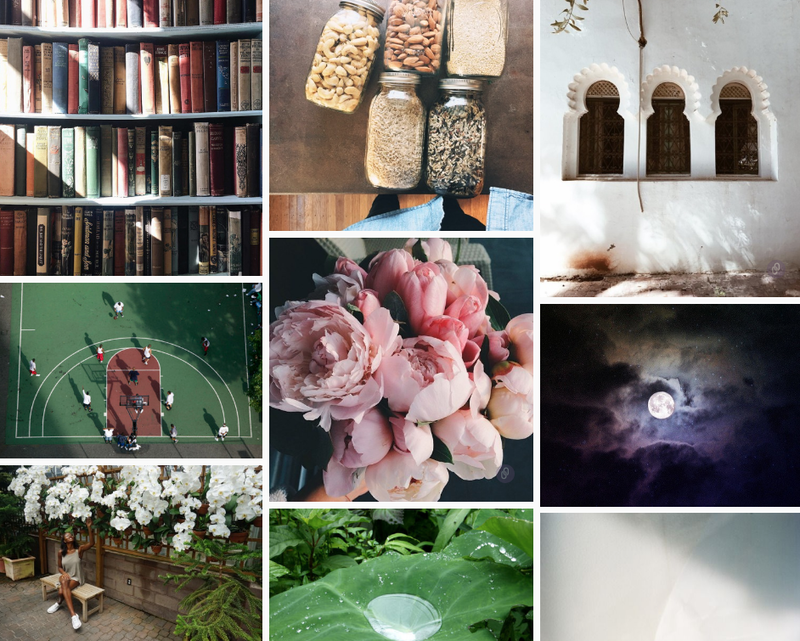 Orient Express | the active spirit. 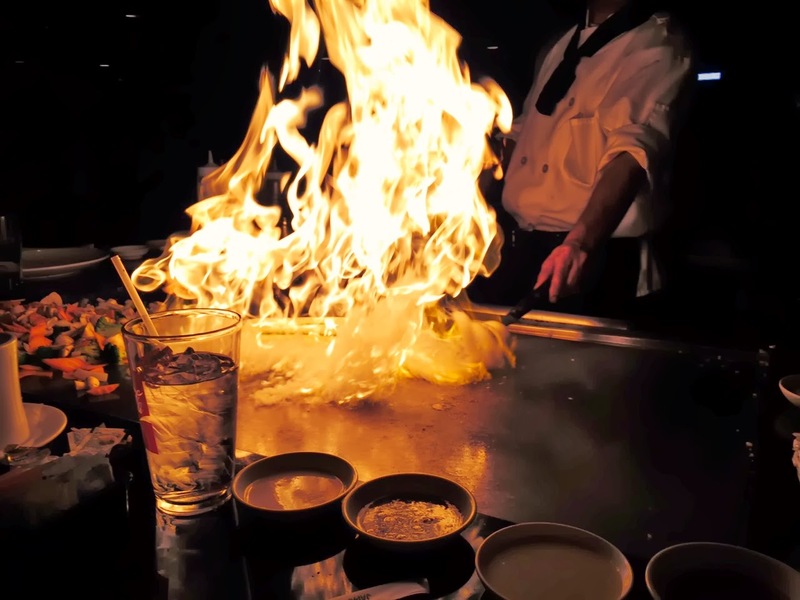 My first visit to the Orient Express was about a year and a half ago, in this post, and yep, I'm reusing that same photo (below) because if you've seen one hibachi presentation, you've seen them all. Right? There's the onion volcano with fire blazing from the top ring, the rice-in-mouth catch (sometimes with shrimp), the pretend-to-squirt-ketchup-at-your-face, which was not funny the first time it happened to me, and there's the clanking and flipping of very sharp knives in a very controlled fashion. It's always a good show, though. I'm not sure why it's so entertaining to watch a chef play with our food, but every now and then I catch myself saying "I could go for some hibachi tonight." 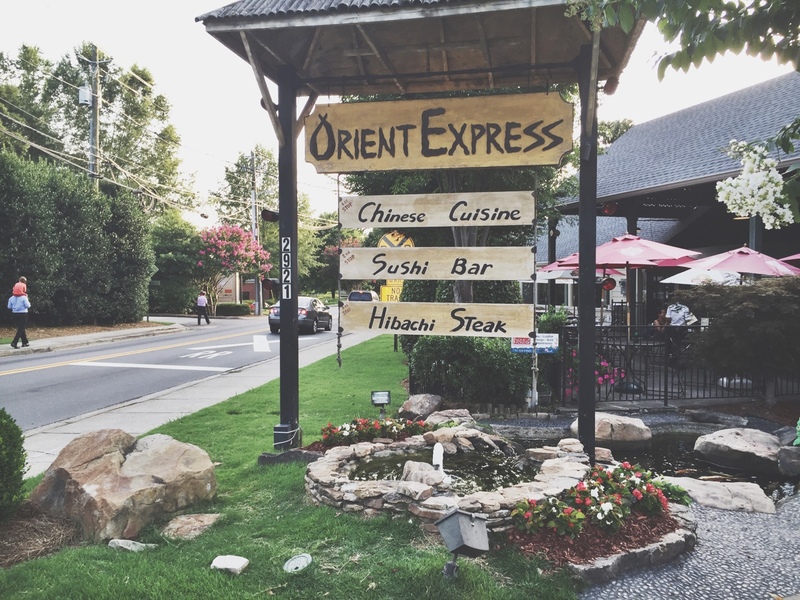 Such was the case yesterday evening, and when my husband was looking for somewhere that would grant my birthday dinner wish, he found the Orient Express in the heart of Vinings. 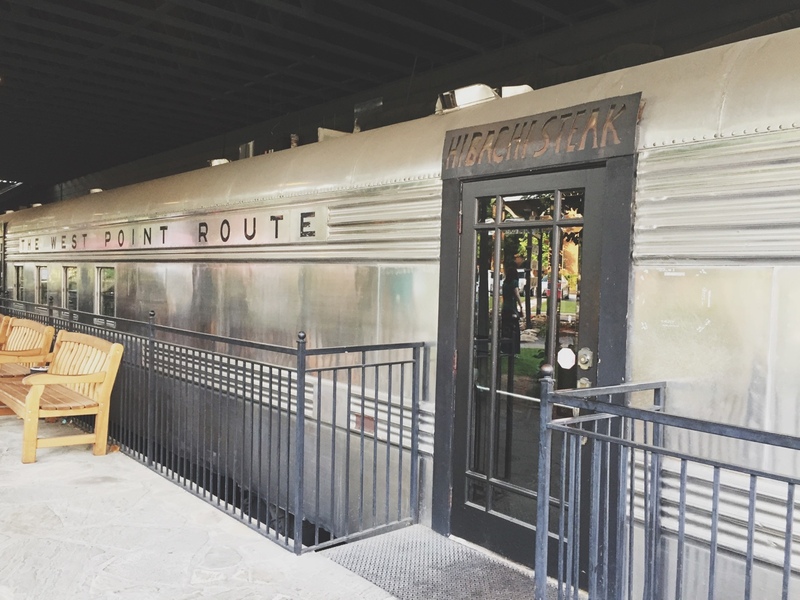 The restaurant "building" is actually an old, re-purposed, rustic train car that still sits on the train tracks. 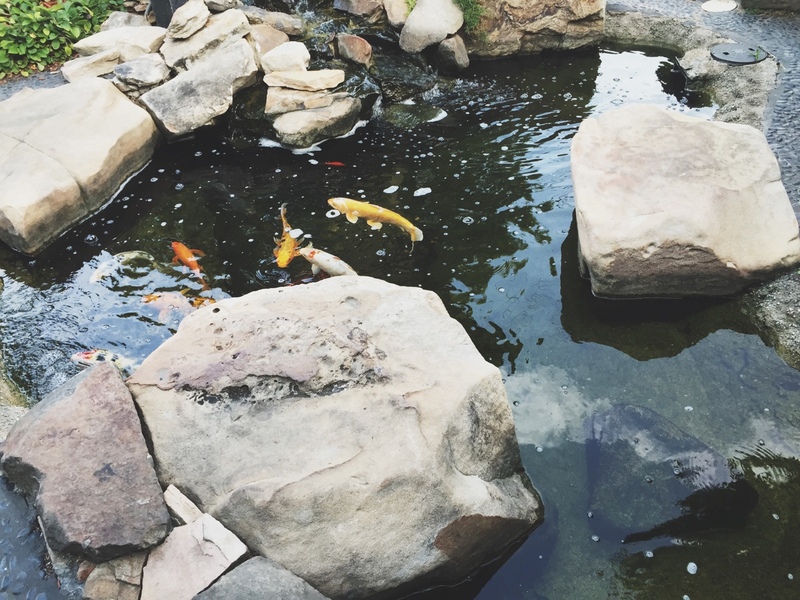 Outside there's a small Koi Pond with colorful little fish swimming in circles. J stood in front watching them splash for a few minutes while I was taking pictures, and he promptly concluded that our future home will definitely have a Koi Pond in the back. Awww, great first date spot.